I have to apologize to you all! I promised a Quickie, and while editing it, ran out of time before I left for an AMAZING trip to Bali, Indonesia. I forgot that I was taking my other laptop (without the editing software) and couldn't finish before my flight in order to post as promised! Ironically, the topic of the quickie was travel gadgets that help me stay organized and equipped while traveling. OOPSIES!! LOL. Anyhow, I'm back in town now, and getting into the swing of things, and promise to finish the Quickie and post it in the next few days. 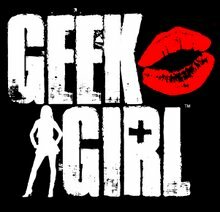 In the meantime, email me at geek.girl@earthlink.net if you have any questions, feedback, or just want to send me a note! Or, use this time to check out all of my videos on YouTube by clicking HERE. I just got overly excited about some gadgets and decided to film another "Geek Girl Quickie" so that I could share with y'all! Stay tuned; it should post today or tomorrow (I'm putting the finishing touches on the editing and graphics now...!). Be green, friends! And don't forget to check back for a GGQ in the next two days!